We weren’t expecting it, but we’ve unexpectedly found ourselves on an unexpected mission to *SAVE THE WORLD*. Unexpectedly. We’re here as an antidote to the seemingly endless terrible news that we’re inundated with on a daily basis. 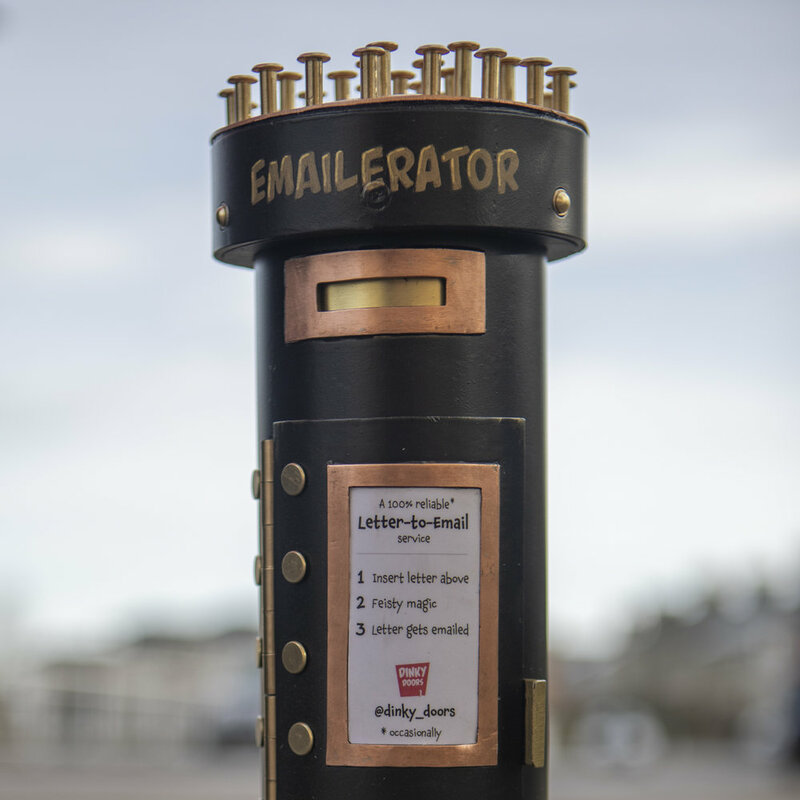 To deliver wonder as you wander through the medium of… er… dinky little doors. 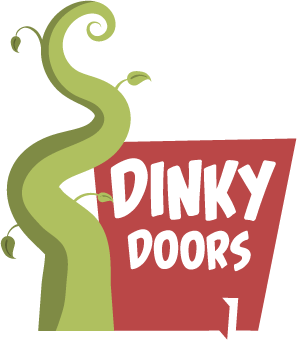 We know it sounds implausibly ambitious, and you might wonder how Dinky Doors could possible *SAVE THE WORLD*, but we firmly believe that dinky things, discovered unexpectedly, can deliver dollops of delight that can defend against the daily onslaught of miserable miserableness. Shorter sentences could help too. Join us! And together we can *SAVE THE WORLD*. Have you ever wondered what happens to all the objects you misplace, lose, or launch into the stratosphere on a school science project gone wrong? The answer is the Wonder Emporium. A curious establishment run by a mysterious couple who are rarely seen behind the counter. Excitingly, there’s an online shop too, which sells all of the items of stock you can see in the bricks and mortar premises. A Dinky Doorkind first - the Emailerator has a fully-operational, working, opening and swingably swingy DOOR! OMG. But what’s inside? We’re not sure. It’s probably all super computers and fancy machine learning. You might need to visit it to fully understand, but you can learn more right here! One day, our door might be as famous as the non-dinky version in London. Maybe. Maybe not. We’re not even sure if the inhabitant of our door is friendly. They certainly look like they want to give you a big cuddle. Cuddles are nice, right? Maybe you should knock and find out? If you’re passing, that is. Anyway, we’re certain you’ll want to watch the video to learn more. Come rain or shine, our Teleport-o-Matic (or, ToM for short) is possibly certain to teleport you nearly close to where you might have wanted to go - assuming you have the cold hard cash in 3 pence coins. ToM’s had a tough life, and you can learn more about its back story here. Trying to find our doors ? They’re only dinky, so can be hard to spot… but luckily we’ve got an online (and downloadable) map, to help you on your quest.